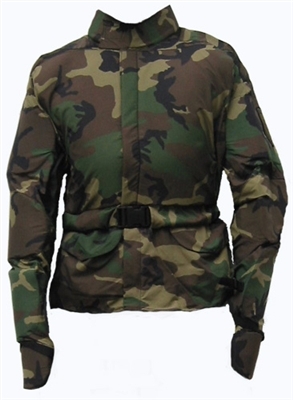 Camouflage Protective Jacket. Breathable, ventilated, non-shrinking and water-resistant. Protects the neck, chest, shoulders, arms, hands and back.